A myTypewriter.com Exclusive! This brand new typewriter dust cover is made of quality clear vinyl and ideal for most of the manual portable typewriters. 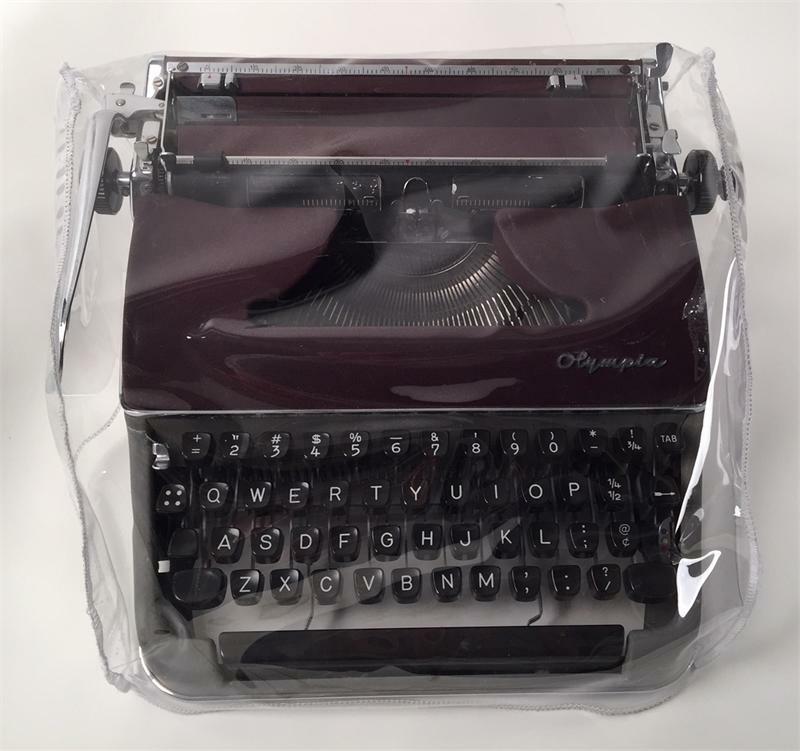 Choose from three different sizes (small, medium, large) to fit your compact, standard or large manual or electric portable typewriters. Small (12"L x 10"W x 3.5"H): Ideal for compact portables such as Olivetti Lettera 22/32, Hermes Baby/Rocket, Smith Corona Skyriter etc. Medium (12"L x 11"W x 5"H): Ideal for Royal Quiet DeLuxe, Smith Corona Sterling/Silent, Underwood Universal/Champion, Remington Streamline No. 5 and most of the portables from the 1920s to 1930s. Large (13"L x 13"W x 6"H) Ideal for Hermes 3000 series, Olympia SM series and Smith Corona Supper Silent from the 1950s or later. 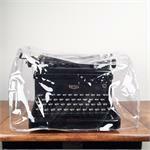 Not suitable for office-size standard typewriters and certain portables with extra wide carriage. 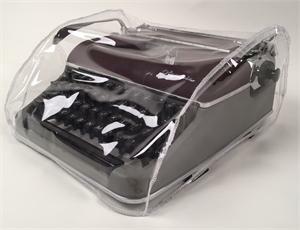 Universal Replacement Typewriter Carrying Case - New! Your Price: Sorry, this item is out of stock. A lightweight fiberboard universal carrying case reinforced with customizable foam to fit most standard to large-size portable typewriters.